New VP Dew Point Sensor! 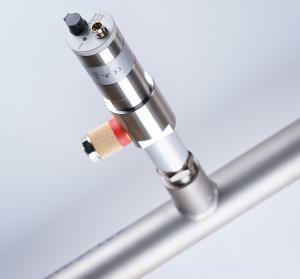 VPInstruments launches the VP Dew Point Sensor: the smart dew point sensor for compressed air and industrial gases. DELFT, THE NETHERLANDS, March 25, 2019 /EINPresswire.com/ — VPInstruments launches the VP Dew Point Sensor: the smart dew point sensor for compressed air and industrial gases. Its large measurement range, -70..+60⁰C, enables one single product for monitoring the dew point of both refrigerant and desiccant type air dryers. VPInstruments offers industrial customers worldwide easy insight into energy flows. We believe that industrial energy monitoring should be easy and effortless, to enable insight, savings and optimization. VPInstruments products are recommended by leading energy professionals and offer the most complete measurement solution for compressed air flow, gas flow and electric energy consumption. Our monitoring software VPVision can be used for all utilities, and enables you to see where, when and how much you can save. Our products can be found all over the world. We serve all industrial markets, for example; automotive, glass manufacturing, metal processing, food and beverage and consumer goods. We can also help your industry. Let us open your eyes and start saving energy.